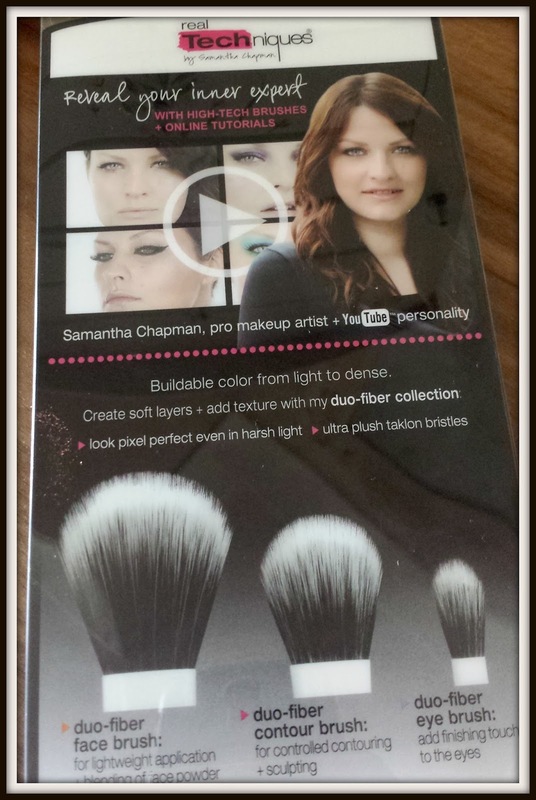 Real Techniques Brushes are the much-raved about brushes from the YouTube make-up guru Samantha Chapman of Pixiwoo. Sooo... 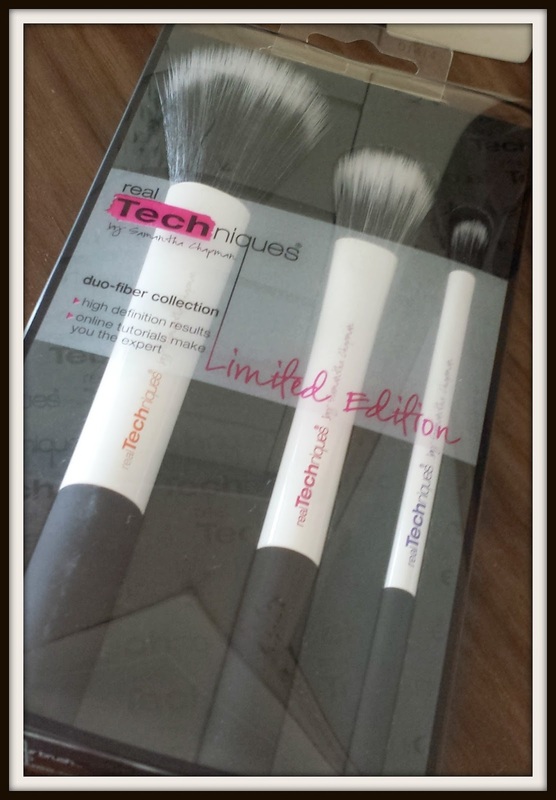 I've been wanting to get my hands on the Real Techniques Brushes for so so long. Especially after reading so many blogs (most, in fact) raving about them and how they need to be owned! They are supposed to be on a par with the likes of MAC brushes, but are more affordable and much more readily available on the high street. All Real Techniques brushes are made from synthetic taklon fibres and are 100% cruelty free (another reason I needed them. ha). Synthetic brushes are so easy to clean and very multi-tasking. So when I noticed that Boots were offering buy one get the second half price, I just COULDN'T resist! The first thing I love about this brush (and I think it stands for a lot of the RT brushes), is that it is larger at the bottom which allows it to stand on it's own (simple things). 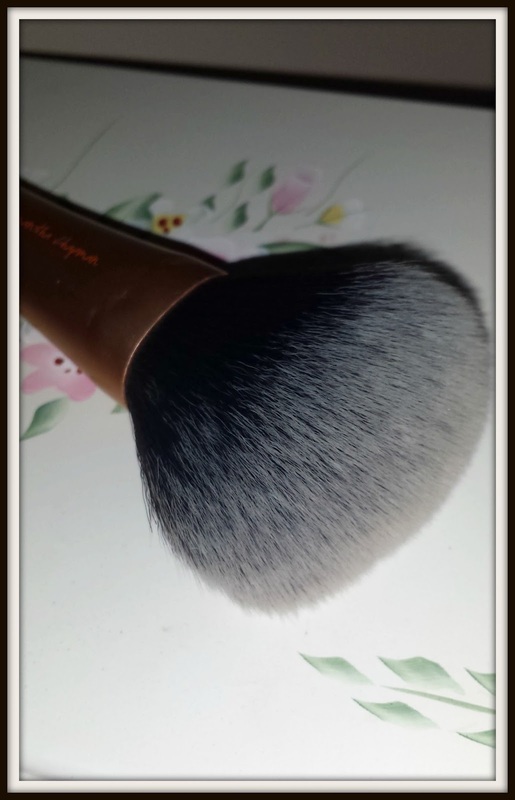 This brush is on the large side when it comes to brushes, and the largest in the collection. Having said that, it really doesn't feel too heavy at all. I am also amazed at how soft this brush is. Can't stop touching it! 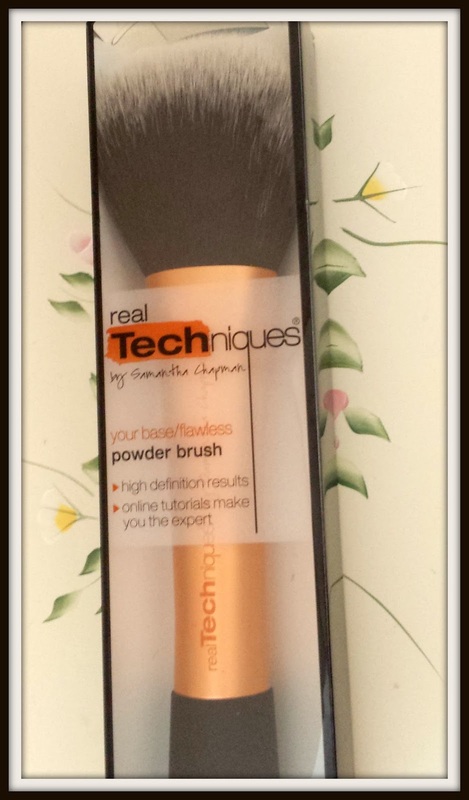 I use this when I am applying my L'Oreal True Match Minerals Foundation. I was never really blown away by this foundation but just wanted to continue using it to get my money's worth. This was until I used it with this RT beauty!! OMG.. what a difference, I use half as much as I did when I used the stupid little brush that came with the foundation (harsh?!) ha! I literally only need a tiny bit as the bristles on this brush pick up every last bit and apply to the face seamlessly. It is so quick and easy to do aswell. Can't rave about this brush enough and I think it has definitely helped change my mind about mineral make-up. Now this brush I also really love (you will sense a pattern as you read down the post). 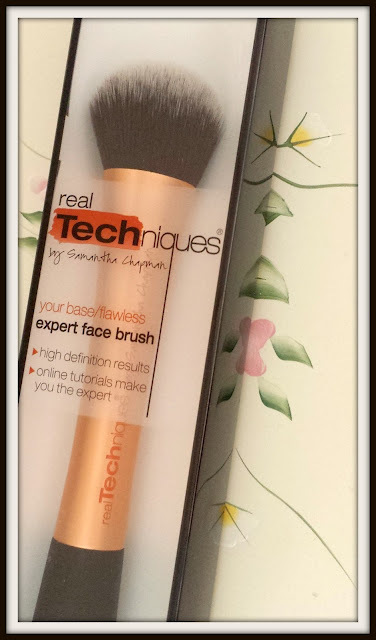 This has been compared to the Buffing Brush which comes in the Core Collection, but I can't comment on which is better as I don't own the latter. 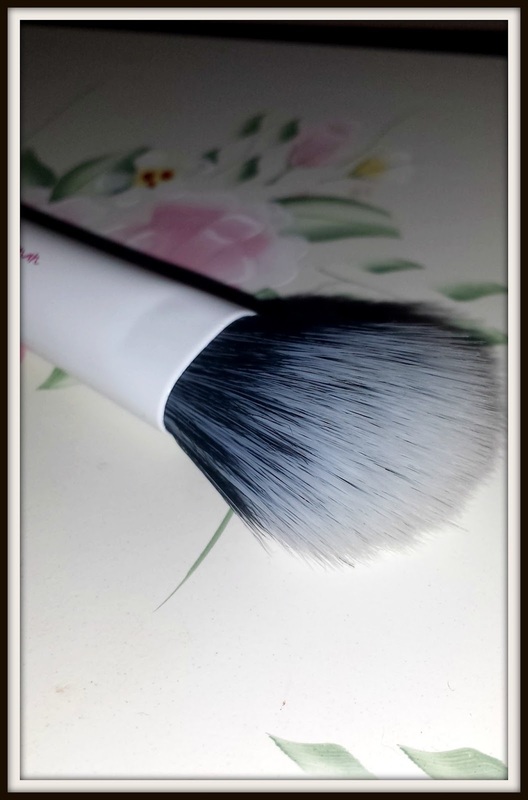 This brush is a lot lot smaller than the Powder Brush (obviously) but it is just so cute! The bristles are densely packed which makes buffing in your foundation a doddle and you don't have to press too hard at all. Anyway, this brush is specifically for applying cream or liquid foundations. I have been using the ELF stippling brush for a while when I choose to use a liquid just because it was cheap and cheerful and I wanted to practise using a brush to apply liquid foundation (I'd always just used my fingers). 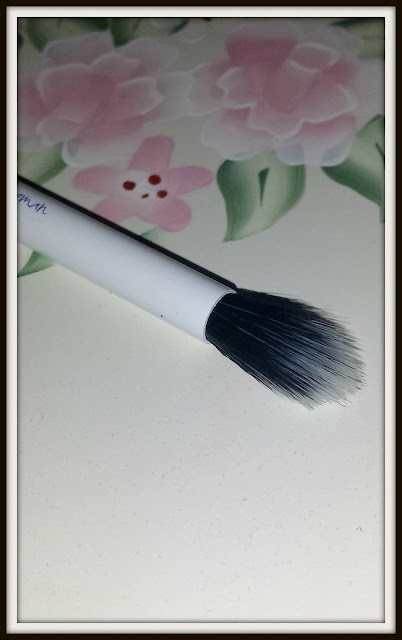 I'd never been a fan of using regular flat foundation brushes as I always found no matter which ones I tried, I always got streaks and bristle marks and ended up having to go over it with a sponge or my fingers anyway! ANNOYING!! Also I don't like to feel as though I am painting the make-up on so I thought I'd give this a whirl. Well, I wasn't disappointed. I have been practising using this brush in circular buffing motions which has worked well for me so far, however I have also read that some people like to use it like a flat foundation brush and blend it in. 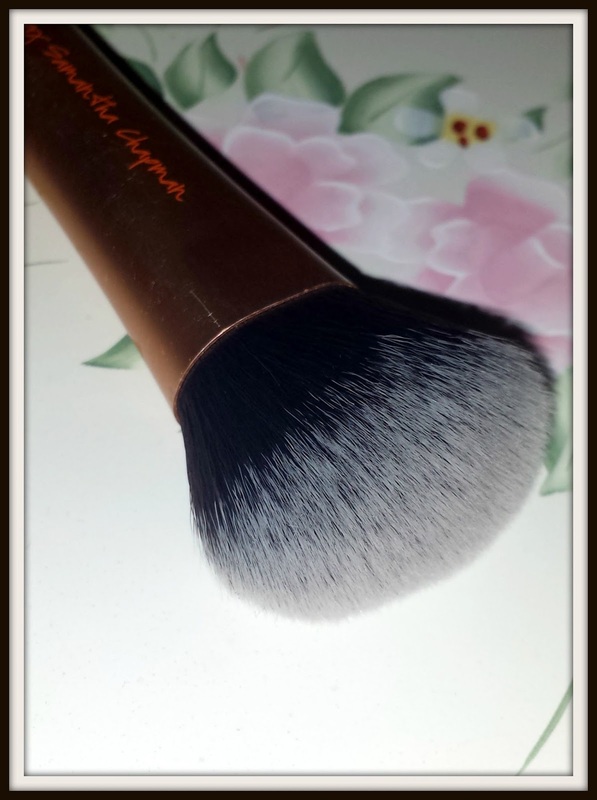 I have also used this brush to apply my BB cream and it works very nicely too. I'm pleased I got this brush, although I'd be lying if I said I wasn't fighting the urge to get the Buffing Brush to see how it differs (naughty). 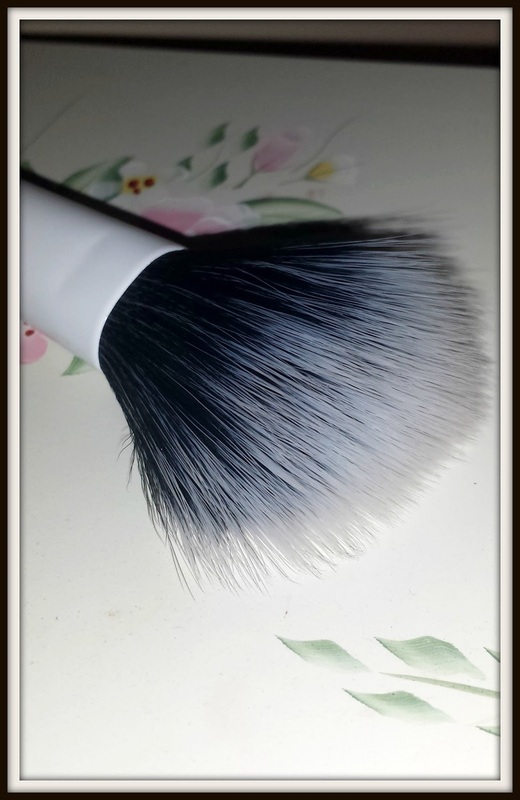 This brush is fab for adding a flush of colour to the apples of the cheeks. It's bigger than your regular blusher brush and also a different shape - it's an oval dome (my own description there haha). A few people have said that the head is just too big for applying blusher, however I find it to be just perfect for my hamster cheeks, lol. How do I use such a large brush you ask? 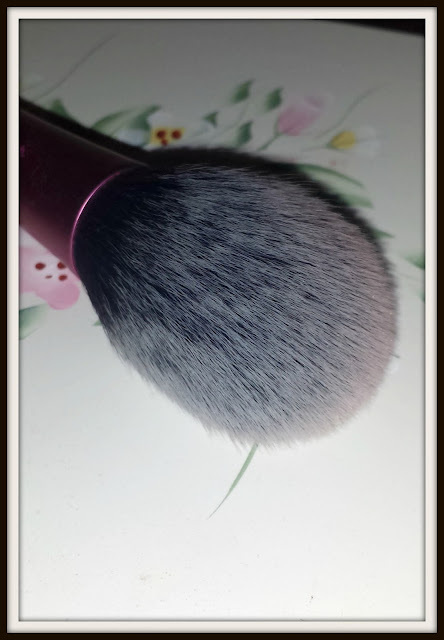 Well for me, it works best if I add product (powder blush) to the tip of the brush, and then use the rest of the bristles to work it in a sweeping motion. 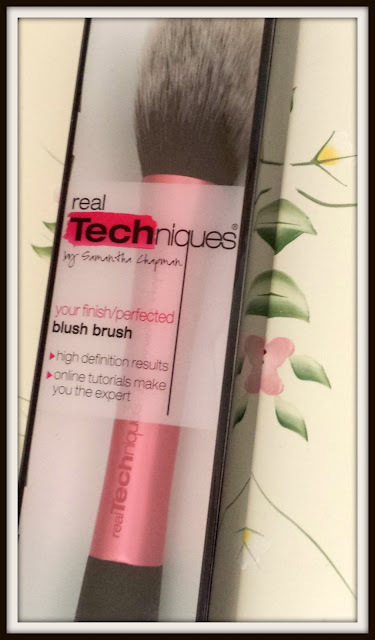 This brush can apparently be used to apply cream blushes aswell but I've not tried that yet as I'm still in the marker for a nice cream blush (any recommendations welcome). I just love the look of this brush and think it looks quite classy. It's a gorgeous addition to my collection. These brushes I just needed to have, just simply because the words Limited Edition always get me and I usually need to get the product there and then! Ha. I haven't had chance to have a good practise with them yet so can't write much other than I have heard lots of good things! 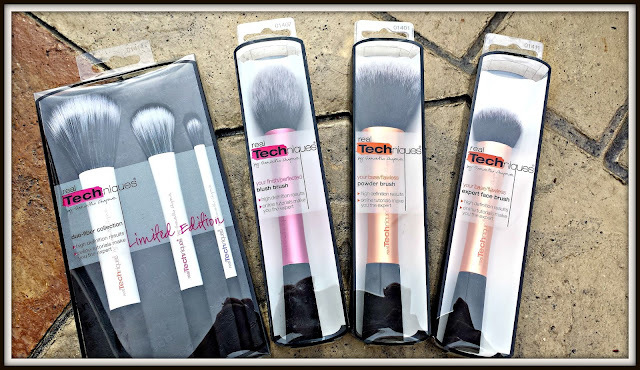 Are you a fan of the Real Techniques Brushes?